Archive from category "composite front doors in buckingham"
If you are looking for a stylish and elegant entrance to your Buckingham home, composite front doors are ideal. These high-performance front doors will protect your home against unwanted visitors, and help to maintain your properties warmth. All while offering a simply stunning appearance. Here at Affordable Windows and Construction, we offer a range of composite doors to our customers from a variety of manufacturers. 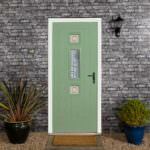 Enabling you to find the best composite door for your budget. Read our handy guide to composite front doors in Buckingham and see the amazing features and benefits these superb replacement doors offer for your home improvements. A welcoming entrance is a must have for any Buckingham home, and with composite doors, your property’s aesthetics will be truly enhanced. These spectacular front doors are crafted to offer all the beauty and style that you would associate with timber, yet none of the upkeep. 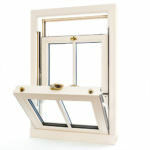 They feature state of the art double glazing technology and are innovatively structured to be robust and durable. Our composite doors come in a wide range of styles and colours, able to complement the appearance of both contemporary and traditional properties. 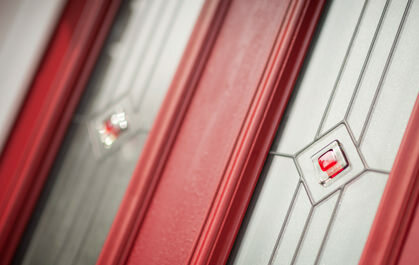 You can have the completely perfect front door with our collection, as every detail is chosen by you. We offer a range of hardware and accessories including, letterboxes, spy holes and door knockers. Your new composite front doors will be the perfect match for your Buckingham Home. Our composite front doors are all superb for modern busy homeowners, as they require very little maintenance. You can enjoy far more free time, as despite replicating traditional wood, these doors will never need sanding, stripping, painting or varnishing. In fact, all that is required to keep our front doors in perfect condition and performing at their best, is a simple cleaning routine. Our composite front doors offer Buckingham homes a long term entrance too, as they will never warp, split or rot and the colour finish will never peel or discolour. 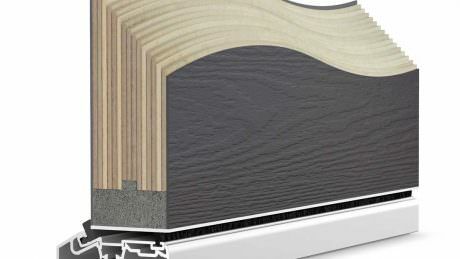 Composite front doors all have a similar structure based on a solid core, overlaid with a durable skin. This results in doors that are highly secure and incredible for insulation. When you choose composite front doors from Affordable Windows and Construction, you will benefit from the very best home protection available. 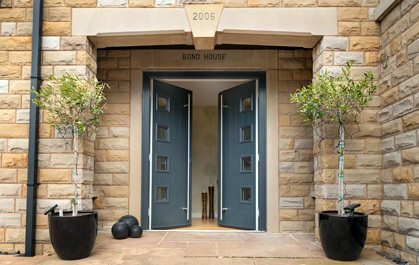 These outstanding doors are all fitted with cutting edge locking systems and provide incredible home protection. The clever design of our composite doors not only makes them tough, but also ensure they offer the very best insulation. With these superb front doors, your home will be warmer for longer, as cold air can’t enter and heat loss is minimised. This is brilliant for lowering your energy costs too, as a more energy efficient home means that you will need to use less heating. The insulating properties of our composite front doors is also beneficial to creating a quieter and more peaceful home. You can relax without the intrusion of busy street life and noise pollution. When you choose composite front doors for your home, you will benefit from superior aesthetics and superior performance. Affordable Windows and Construction are proud to be able to offer our customers a variety of options for their new composite front doors. We don’t work with just one supplier to meet your needs, we work with three. This means that you are sure to find the perfect match for your Buckingham home among our composite doors collection. Our doors are simply stunning and each one offers its own unique features to make the most of your property and your home improvements budget. 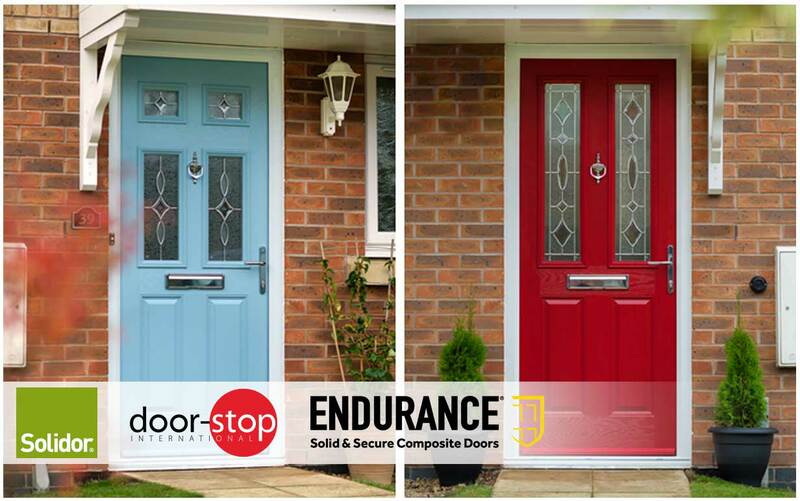 We offer the Door Stop range, the Solidor collection and the Endurance composite front doors. Get in touch with our helpful team for more information and guidance in choosing the right one for your home improvements. Composite front doors prices in Buckingham are exceptional with Affordable Windows and Construction. We offer a wide range of options to ensure you can find the perfect price to suit your budget. 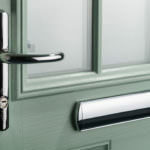 Our composite front doors can be adapted to meet the needs of any homeowner and getting your personal quote is so easy. We have an online door designer where you can pick and choose from the options available until you find the perfect combination to create your dream composite front door, in looks, performance and price.